We received a few requests to test the Foxelli Trekking Poles as they have just emerged on Amazon, so we decided to give them a try. We received some complaints that the product did not come as advertised and several complaints of fake and false reviews. When we did our own diligence on Amazon.com, we did in fact uncover several misleading reviews. We have not seen many, if any, verified reviews. We will dig a little deeper into this. 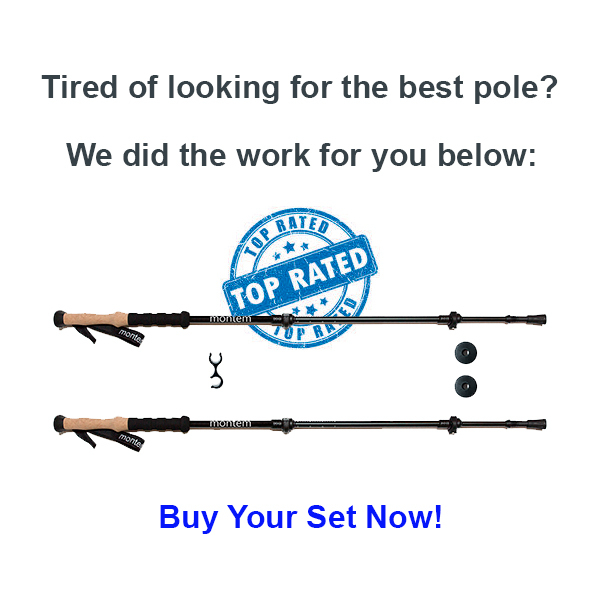 If you would have given us these poles without any branding, we would have thought they were the Montem Ultralight Carbon Fiber poles or the Hiker Hunger Carbon Fiber poles we have reviewed. These poles are designed exactly like the Hiker Hunger poles from grip to handle. We will finish the write up soon but we wanted to give these poles our preliminary number rating so awesome hikers can make a decision! Please note that this review is not final. The best aspect of using trekking poles is, of course, to help the traveler to share his body weight on the poles too thereby reducing the effort on knees and legs overall. This is why today, trekkers, and mountaineers do not hesitate in spending some amount of money in purchasing the best brand of Foxelli Carbon fiber trekking poles. However, before you buy poles for your next expedition, do remember to go through the features and then make your choice. 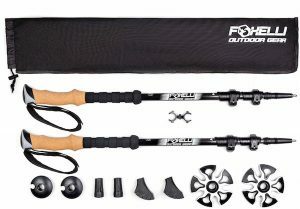 The Foxelli’s pair of trekking poles is one of the lightest ones, and yet, the anti-slip cork, and the arm rest are few of the features that many may like. The 100 percent carbon foam cork material on the Foxelli Carbon Trekking Poles is what gives strength to the poles as you strike it on the ground and plod on. The cork handles are perfect for allowing the trekkers to use it in all seasons. Sweat from palms will not let the poles to slip from the hands too. The trekkers find that the grip is good and it is absolutely essential for hiking up. The tungsten carbide tips will give you better support and help you get good footing. I found that even after a long trek when you lean on it giving full body weight, it does not give away or snap. This just shows its strength and help in keeping me and my luggage up and walking. Whether it is your wife going on a trip, or your teenaged son or daughter going on a trekking trail, the Foxelli Carbon Fiber Trekking pole is adjustable for all. Adjust the size to suit everyone of all age groups. The size to which this trekking pole can retract is an amazing range of 24” to 55”. Even elders in the family and tall people can use this quite conveniently. This means that you may as well pick one of the same universal sizes to suit all the members of your family. The ridges along the sleeve help in adjusting the pole to the length you seek. Ease and grip: Long distance treks might cause numbness to flood to the fingers and hands that hold the trekking poles in place. So, it is necessary that one go for comfortable Foxelli’s trekking poles. The breathable material and the cork foam handle allow sweat to pass through and not cause uneasiness of grip. The grip remains sturdy at all seasons and through various levels of perspiration. The EVA soft foam coating is on all sides and even on the extended sleeve. The locks on the ridges and the sleeve help the poles to extend or collapse to the desired length and stay in that size or length without slipping down at any time. 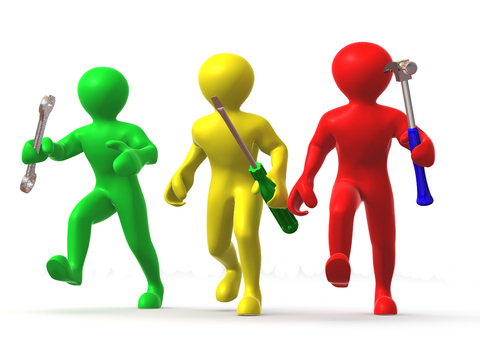 There are various levels of trekkers or mountaineers. One could be the beginner who would just be walking on a plain to a slightly undulating surface. Then one could be a slightly more adventurous level consisting of travelers on the rough inclined plains or hills. The highly adventurous types of travelers might go only for trekking uphill on mountains and ridges of great risk. The trekking poles come in handy for all of these travelers and since it is light -weight, and compact and comes with a case too, it becomes the ideal traveler companion. 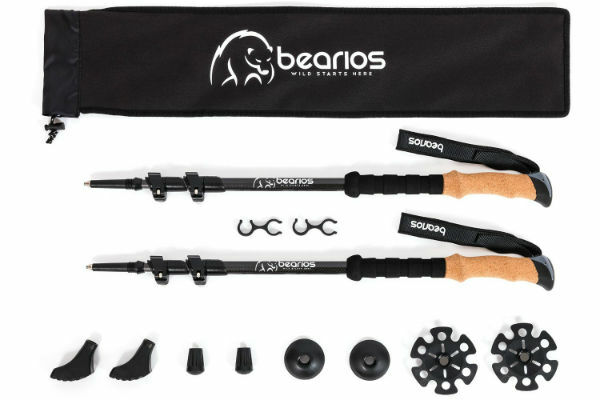 With the straps firmly in your hand for better grip, the poles will not slip off your hand. Assist in keeping balance in unsteady landforms like marshy swamps, or while crossing streams and walking through caves. The Thermoplastic rubber tips are ideal for digging in the earth and keeping steady, and hence it becomes the hot favorite of the elderly trekkers and walkers. They would tend to stay on balance even if the ground is not plain or smooth. These trekking poles are approximately the same price as other mid price range carbon fiber trekking poles. If you are looking to buy a set of carbon fibers, we suggest checking out the Montem Carbon Fiber Trekking Poles as they are the same quality but lower the price! Foxelli Carbon Fiber Trekking Poles are compact and comes with a case that takes very little space in your luggage and remains there until you need it. The flexibility and the strength of the product are such that you would not need to think of replacing it or buying one for every expedition. The long life span of the trekking pole helps you to go places. Many people might not understand the need for a pair of super quality trekking poles unless they get themselves a pair. They are as essential for trekking as you might need a tent or a backpack. So, Get your Foxelli Carbon Fiber Trekking Poles and enjoy your next trip up the snowy mountains this holiday season. At the beginning, of this review, you question the verified reviews on Amazon. I am a verified buyer and a very happy customer, I go under the username BinaryMan. I agree with almost everything in your review, and yes I have never used any of the accessories that came with the poles. I just have not seen a need and the rubber tip is amazing. I have not slipped yet, they grip well on my slippery fake wood flooring so I’m very confident when I go out for my walks. These are great for my needs, I had back surgery and need to do a lot of walking for recovery. I’m 6′ 3″ and over 300lbs, so you know that they are strong, I’m just worried about finding tips when mine eventually wears out. Maybe you could do a review of replacement tips, I know I would like that.